As the leaves turn in the countryside, I am reminded of all the joy that was shared here this past Summer and all the winter memories that are to come. Once again, I am humbly grateful for The Barn that has been a shelter to rainy day weddings and will now be a cozy place for guests to come and witness a beautiful commitment being made. I am keenly aware that the Holidays can bring about stress, worry, and difficulties in relationships. That's why when Dean and Lilian approached us about a marriage class called Keep Your Love On, I was intrigued as I sipped on my hot coffee. How do we keep our love on when it gets cold? How do we fight through the wind and rain that life brings and, for some, survive the stress and sorrow that this season can often bring? For my husband and I, it has always been the fact that the foundation of our relationship is built on Christ. We crumble too often, we fall every day. If it were only left up to Him and I, we surely would end up sinking. However, there is always a solid ground at our base so that when we feel as though we can't get up, we are gently lifted. After 8 years of marriage, I know there is still so much to learn and I am looking forward to learning from the Watkins who continue to make their marriage a priority. I love how, when speaking with Dean, he expressed how He has learned so much from the book Keep Your Love On and is working to do so. 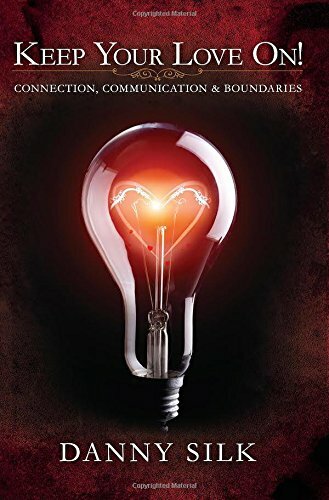 The book addresses many areas that impact our relationship with our spouse; commitment, communication, and boundaries. Most of us have never been taught how to have healthy boundaries in our relationship so that we can enjoy all the beauty it has to offer. Often times, we aren't strong enough to overcome the obstacles that attack our commitment or wiggle in to break down our communication with one another. I hope you will join us this Fall as we strive to learn and have a lot of fun walking through this book, Keep Your Love On. We will be cozy in the barn and on the last night, we will have coffee, treats and time to just laugh and chat with one another. This 3 night series is free and part of our Start Strong Stay Strong mission. All you need to do is purchase the book and come, ready to learn about what Author Danny Silk calls, " the higher, Jesus–focused standard defined by mature love―love that stays ‘on’ no matter what."